Is your shopping list greater than $100? Stampin’ Up! Snowflake Showcase Snowfall Thinlits for the win!! I’m so in love with these beautiful snowflake shapes in this set. Here they are matched with the Snow Is Glistening stamp set for the greeting and the background stamping. CATALOGS - Get Yours Here! STAMP CLUB TO GO - Earn free stamps and catalogs, and receive 3 completed projects from me! FREQUENT BUYER POINTS - Shop with Crafty Stampin' and earn points and get more FREE Stamps. Sign up for my weekly newsletter and receive inspiration right to your inbox. You’ll receive Free Card Tutorials available only to my newsletter subscribers, the latest Stampin Up News including specials and inspiration, and my Crafty Stampin’ Monthly Customer Appreciation Bonuses. And don’t worry, your email will never be shared with anyone else, and you can opt out at any time. See all reviews and leave your own. Bring your Paper Pumpkin to this month social and let's assemble our Paper Pumpkin Kits as a group in my craft room. Weekly NewletterWeekly Newletter Sign up for my weekly newsletter and receive inspiration right to your inbox. 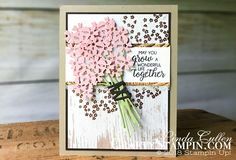 You’ll receive Free Card Tutorials available only to my newsletter subscribers, the latest Stampin Up News including specials and inspiration, and Crafty Stampin’ Monthly Customer Appreciation Bonuses. Mini meeting with my downline to make sure everyone has the most current up-to-date Stampin Up information. All Images © Stampin' Up! - The content of this blog are my sole responsibility as an independent Stampin' Up! demonstrator. All content is copyrighted so please do not submit my work for contests or publications and/or reprint without permission. This blog is not endorsed by or affiliated with Stampin' Up! I do not share or sell any information that you provide to me on my website. 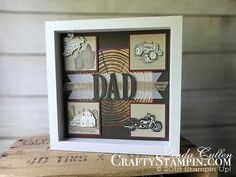 I use the information you voluntarily provide to contact you about news and updates from Stampin Up and Crafty Stampin.